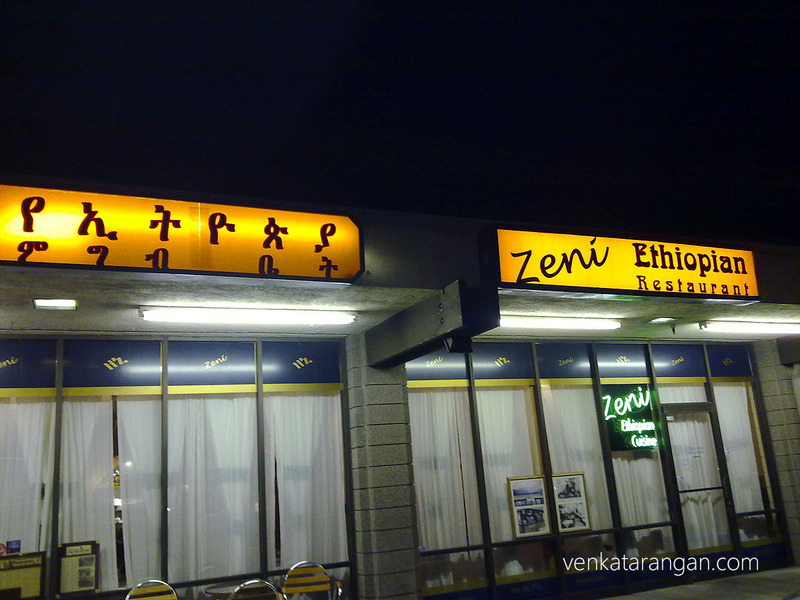 Last week while in San Jose (CA), my good friend “Ranga” took me for a change to have Ethiopian food for dinner at “Zeni Ethiopian Restaurant”. I readily agreed as I like to experiment any food that is Vegetarian (As I say in foreign lands – No Fish, No Meat & No Chicken). 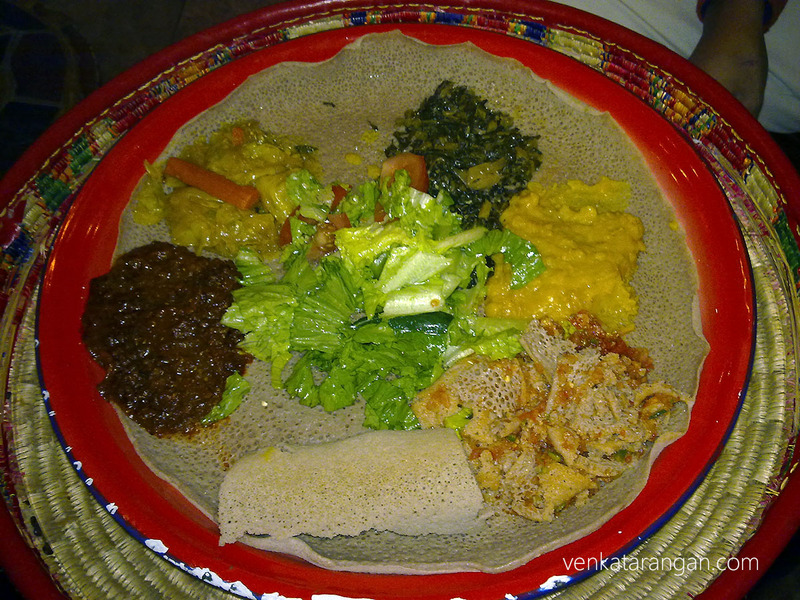 We went through the menu and decided to play safe with their ready-made “Vegetarian Combo” (shown above). 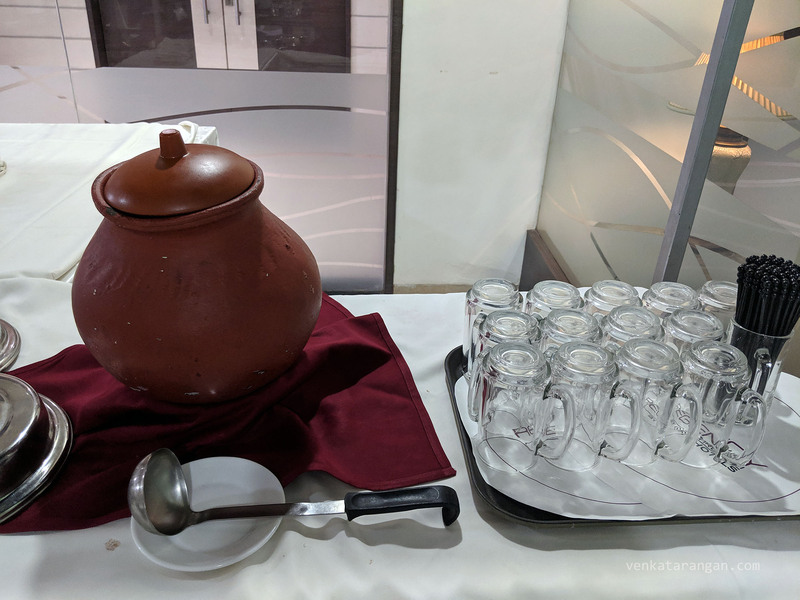 I didn’t understand a single item contained in the combo (YE-MISER WOT, YE-KIK ALITCHA, ATAKELT WOT, YE-GOMEN WOT, YE TIMATIM FITFIT) but once served and tasted figured out that all of them are names of different gravy (side-dishes). Each of them tasted like “Yellow Dal”, “Tomato/Onion Salad”, “Green Salad” and so on. All of these side-dishes were served on a big bread they call “Injera” (it looked to me and tasted like a big South Indian Dosa). 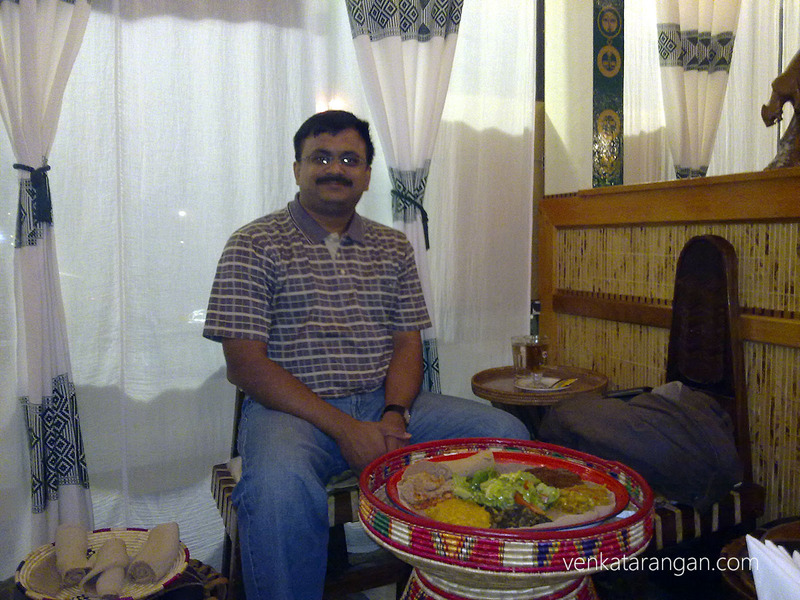 Overall it was spicy, tasty, filling and I loved it!. Thanks, Ranga.